There are definitely scenarios when you’re not going to want to run HDMI cables significant distances to send something to a screen, and that’s where IOGEAR has you covered. 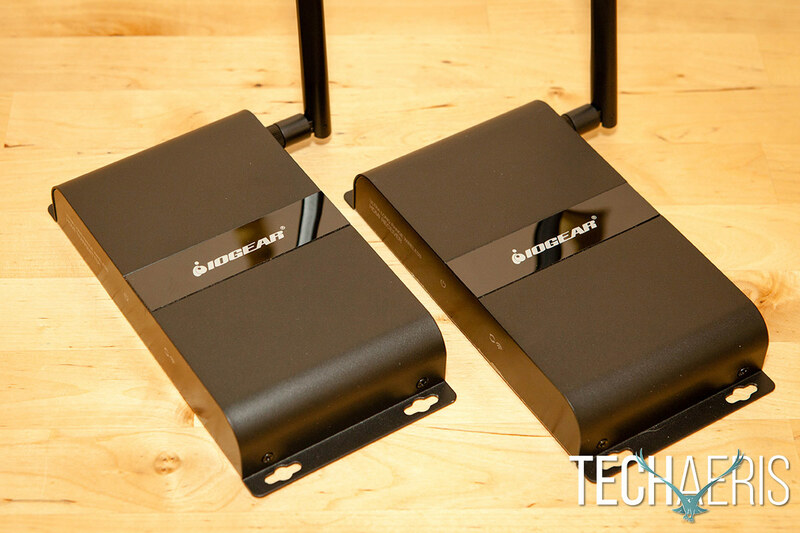 Our IOGEAR Ultra Long Range Wireless HDMI Kit review takes a look at a wireless HDMI solution that lets you transmit a digital signal up to 600ft. The IOGEAR Ultra Long Range Wireless HDMI Kit includes everything you need to get started. 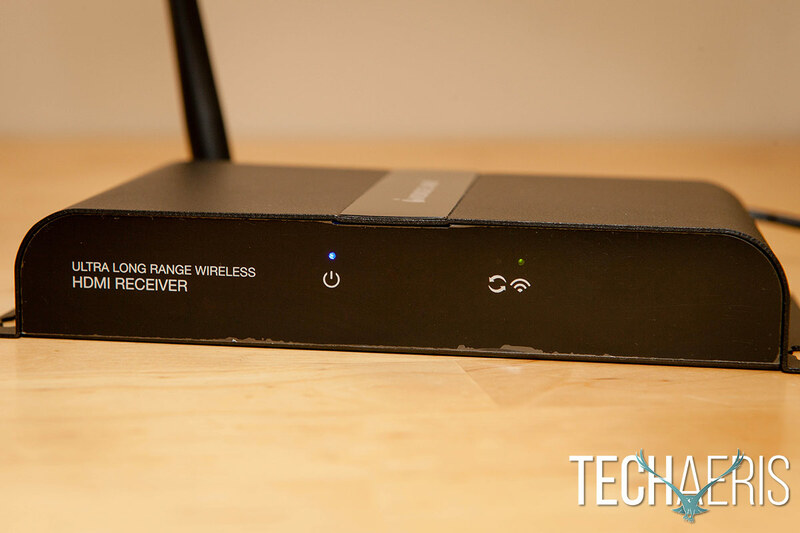 The IOGEAR Ultra Long Range Wireless Transmitter and Receivers have a pretty basic, but solid, design. The case metal housing is very solid feeling and adds a bit of weight, but you can be assured that these units will last wherever you choose to place or mount them. Rectangular in shape, both the transmitter and receiver have rounded edges on the top towards the sides, and the bottom has a metal flange on each side with two holes for easy mounting. The front of the transmitter and receiver have text that lets you easily differentiate between the two, as well as a power LED, data transmission LED, and connection LED. The back of each unit has a DC IN power port, reset button, HDMI Input (transmitter) or Output (receiver) port, and an IR Out (transmitter) or IR In (receiver) port. The wireless antenna is also affixed to the back of each unit. 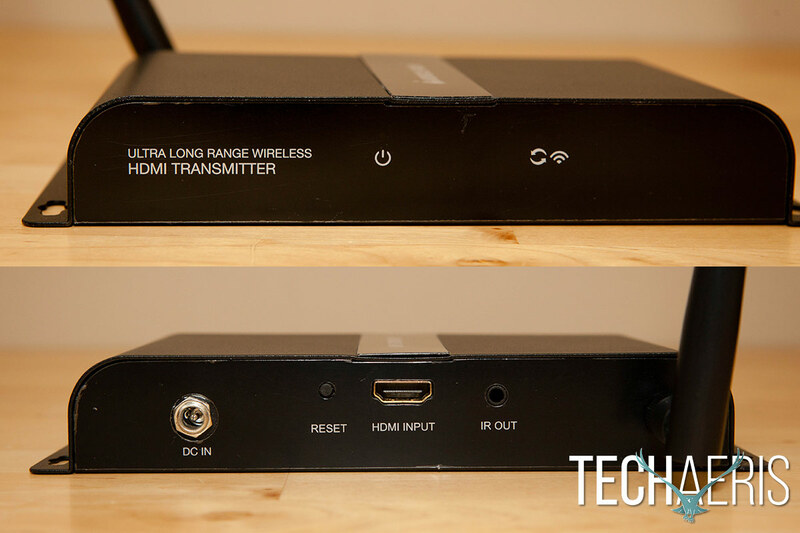 IOGEAR Ultra Long Range Wireless HDMI Transmitter front and back view. 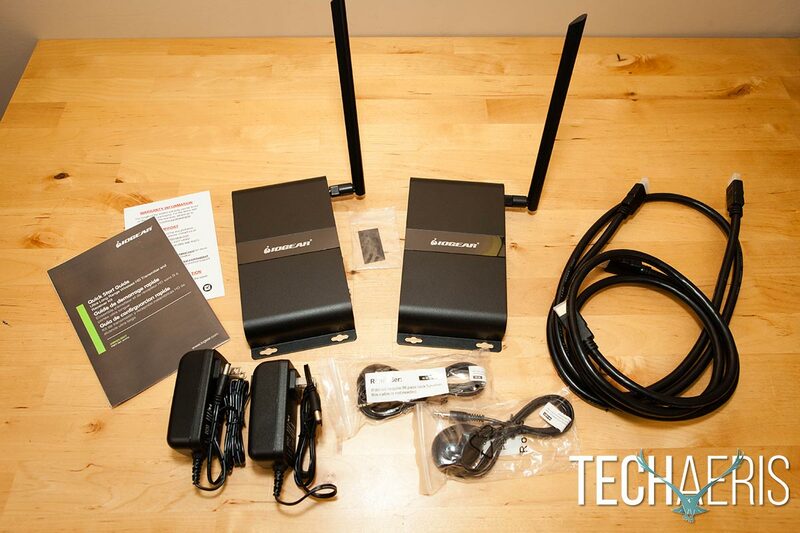 Set up of the IOGEAR Ultra Long Range Wireless HDMI Transmitter and Receiver Kit is simple, but can be a bit time-consuming depending on your setup. 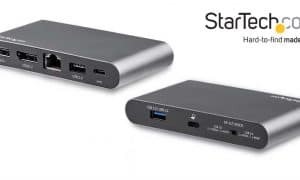 Start off by plugging in your video source (I tested it with a Blu-Ray player, Android TV box, and a laptop) into the HDMI IN port on the transmitter. If you have an IR remote, connect the IR out cable to the IR OUT port on the transmitter. Finally, plug the transmitter into a power source with the supplied power adapter. Next, move to your video display (I tested it with a 1080p Epson projector and a Samsung Smart TV) and connect the receiver with an HDMI cable in the HDMI Out port to an HDMI port on your video display. Again, if you have an IR remote, connect the IR in cable to the IR IN port on the receiver, and then plug the receiver into a power source. Setup is pretty easy, but can be time-consuming based on where your source and display are located. Once both units are on, the data transmission LED blinks slowly while establishing a wireless connection, and will blink fast when it is successfully connected and transmitting data. The connection LED remains solid while there is a wireless connection. Blue and green LED lights indicate power, connection, and data transmission. My initial test was in my basement with my home theatre setup. As my projector is only 12′ away from my source it was more of an ease-of-setup test. Once set up and linked together, my system functioned identically to my normal setup which consists of a long HDMI cable running from my receiver to my projector through the suspended ceiling. For the second test to test out distance, I was able to test it out in a showroom and set up the source about 130′ from the TV. On this test I thought I was able to barely detect a very slight delay when I had my laptop connected as the source, but like I said it was very slight and pretty much a non-issue as both the video and sound are displayed on the display end of things. 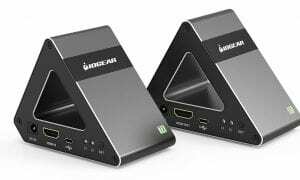 Line of site is required between the two units, so you’ll want to keep that in mind when setting up and using this Wireless HDMI Kit from IOGEAR. 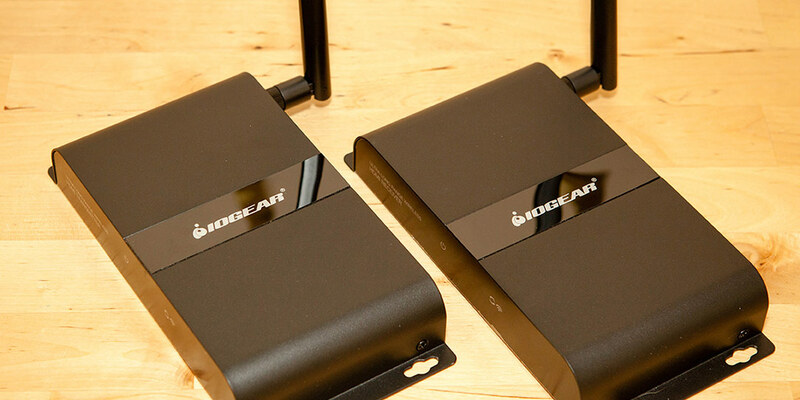 The IOGEAR Wireless HDMI Kit claims a transmit distance of up to 600′. I would have loved to have tested it out with a display 600′ away, but unfortunately I don’t have a space that large to test it in. While I can’t verify IOGEAR’s claims of being able to broadcast 600′, the distances I tested it at the Ultra Long Range Wireless HDMI Transmitter and Receiver Kit worked just fine. The IR cables worked fine as well, and in the case of the Blu-Ray player and Android TV box, I could control them from the receiver end of things with no issues. With an MSRP of $499.95USD, the IOGEAR Ultra Long Range Wireless HDMI Transmitter and Receiver Kit is currently on sale for just under $420USD on Amazon. With more of a business/educational focus on video in large spaces, this is something that you probably won’t use in your house, but for use in a bar, auditorium, store, or even conference room. Depending on the size of the room, the price may be a small one to get you up and running. The IOGEAR Ultra Long Range Wireless HDMI Transmitter and Receiver Kit definitely eliminates the need for long cables and allows you to set up video displays in places that you may not have thought possible, like your store, school, church, or other large area. Easy to set up, solid construction. Transmits HD video and audio fine, IR remote cables are definitely an added value. Pricey, very slight delay noticeable when connected to laptop but nothing really critical. Requires line of sight between the two units. 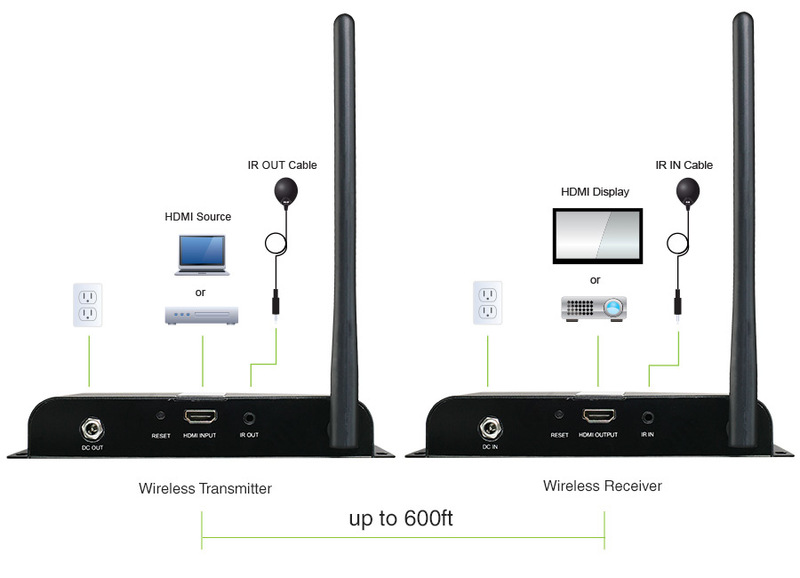 The IOGEAR Ultra Long Range Wireless HDMI Transmitter and Receiver Kit is something that you probably won't use in your house, but for use in a bar, auditorium, store, or even conference room, it definitely eliminates the need for long cables and allows you to set up video displays in places that you may not have thought possible. *We were sent a review sample of the IOGEAR Ultra Long Range Wireless HDMI Transmitter and Receiver Kit for the purposes of this review.